Most women will know about cystitis whether from their own experience or that of others. It is a common complaint but can be avoidable in some cases by taking extra precautions to protect your bladder from infection. The actual terminology is used to describe an bladder infection, but common and perhaps over usage has led the word to be used to describe general irritations and complaints.The most usual form of cystitis is caused by bacteria that are normal in the gut being introduced to the bladder. This is often transferred when using the toilet and incorrect methods are used to wipe the genital and rectal area. It is more common in women who have a short urethra.Other ways of developing cystitis may be because the bladder is not being emptied effectively during urination. This is especially common in the older generations when immobility, drugs interactions and the use of catheters. It is also very common in pregnant women due to the vast amount of physiological changes occurring in the body. The urine should be tested regularly as an untreated urine infection during pregnancy can be very dangerous. Cystitis may also be caused by an increase in vigorous sexual activity and can often be misdiagnosed in the early stages as some sexually transmitted infections can appear to be cystitis at first. The most common symptoms of cystitis include a frequency to urinate and a burning or stinging sensation when passing water.The urine may be cloudy or even blood-stained and pain or discomfort may develop in the pelvic region or in the lower back.Some people may develop a temperature with cystitis, especially paediatrics. 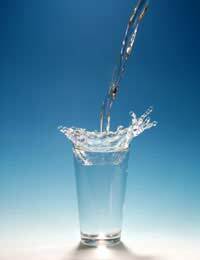 It is most important to drink plenty of clear fluids in order to try and flush the bacteria from the system. Avoid acidic drinks like citrus fruit juices and fizzy drinks. Caffeine can also irritate the bladder so avoid coffee, tea and cola based drinks for a while and limit the intake when you do drink them. Your GP may well prescribe antibiotics to eliminate the bacteria but these must be taken in conjunction with a extra fluid intake. If you are offered antibiotics, remember to take extra contraceptive precautions for at least two weeks if you normally take the contraceptive pill.Pain relief can be used if necessary and this can be bought in chemists or supermarkets; it will also help to reduce a temperature if present. The easiest way to protect your self from cystitis is to drink cranberry juice regularly. The juice of the cranberry prevents any bacteria that enter the bladder from adhering to the bladder wall and multiplying. It is then flushed from the system when urinating.Doctors have now recognised the benefits of this substance and are more likely to recommend this method than any other. The benefits of blackcurrants are now also being researched as it is thought that they too have a very positive effect on the health of the bladder. Cystitis is a fairly common complaint and can be avoided in many circumstances.It is a well known fact that most people do not drink enough fluids or drink too much of the wrong sort of fluids.Drinking water can help to detox the system and flush and bacteria out before problems arise.